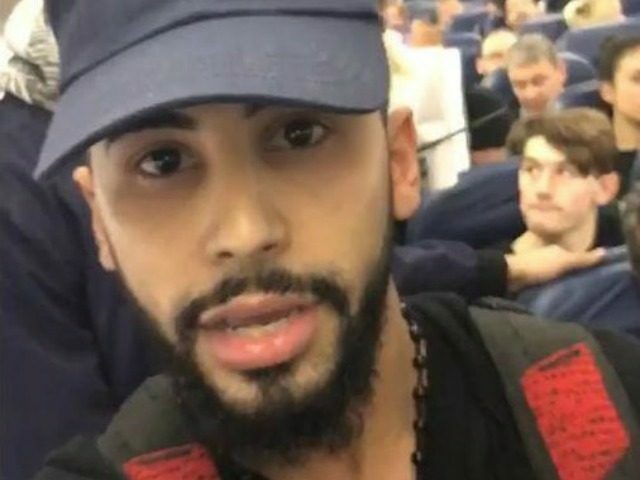 A viral video of a man escorted from a Delta Airlines flight supposedly for speaking in Arabic is the work of Adam Saleh, a popular YouTube prankster with a history of admittedly fake videos and intentionally provocative antics on airplanes. Saleh claimed that he was kicked off a Delta Airlines flight at Heathrow airport in London, England as twenty people supposedly complained about him speaking Arabic on the flight on a phone call with his mother. Saleh has previously admitting to faking at least two videos on his YouTube channel, which boasts 1.6 million followers. where he mainly posts videos of him performing pranks and publicity stunts. In 2014, he admitted that a video supposedly illustrating real-life “Islamophobia” from a New York police officer was a “dramatization.” Just last week, an Australian airport and Tigerair proved Saleh falsely claimed to have boarded a plane and survived a flight while hidden inside a checked bag. In another video Saleh and his friend dress in traditional Arab clothing and speak Arabic loudly on a plane, seemingly in an attempt to provoke a reaction from passengers. He also loudly counts down from 10 to 0 in Arabic in another video, filming the reactions of other passengers on the plane as he does so. A LOT still unclear. But apparently woman sitting near my friend tipped off flight attendants he was a youtube star known for pranks. After posting his video, Saleh tagged his next tweet #BoycottDelta. The hashtag became a Twitter trend, even as Saleh’s story came under scrutiny. However, the trend eventually disappeared from the social platform Wednesday evening. Some users noted that it happened soon after Saleh’s critics discovered a tweet from 2013 claiming now-convicted Boston Marathon bomber Dhokar Tsarnaev was innocent.